The Caribbean Academy of Sciences, Jamaica (CASJ) in collaboration with the Pesticide Research Laboratory (PRL) and the Protection of Plant Genetic Resources for Food and Agriculture (PPGRFA) Management Authority held the Seventh in a Series of Agricultural Forums "Protection of Jamaica's Plant Genetic Resources" on Thursday, October 26, 2017, Science Lecture Theatre 3, Faculty of Science & Technology, The University of the West Indies, Mona. Presentations: Jamaica's PGR Collections with Respect to Climate and Food & Nutrition Security [Don McGlashan], Citrus Protection Agency Preserving Jamaica's Citrus Germplasm: Current Challenges and Opportunities [Alfred A. Barrett], Steps towards Food Security via in vitro Tissue Culture [Ryan Francis] and Importance of Genetics [Matthew Lyn]. The Caribbean Academy of Sciences, Jamaica (CASJ) in collaboration with the Pesticide Research Laboratory (PRL) and the Jamaica Organic Agriculture Movement (JOAM) held the Sixth in a Series of Agricultural Forums "Organic Agriculture: A Key to Achieving Our Sustainable Development Goals" on Thursday, October 27, 2016 (Science Lecture Theatre 3, Faculty of Science & Technology, The University of the West Indies, Mona). The Pesticides Control Authority in collaboration with the Pesticide ResearchLaboratory & the Caribbean Academy of Sciences, Jamaica held a Public Forum "Pests, Pesticides & Climate Change" on Thursday, September 29, 2016, Science Lecture Theatre 3, Faculty of Science & Technology, The University of the West Indies, Mona. Presentations: Climate Change and You: Three Things You Should Know [Dr. Tannecia Stephenson], Climate Change and Vector Control [Sherine Huntley-Jones], The Impact of Climatic Change on Pests and Pesticide Use [Dr. Dwight Robinson] and Climate Change & Agricultural Extension [Marina Young]. 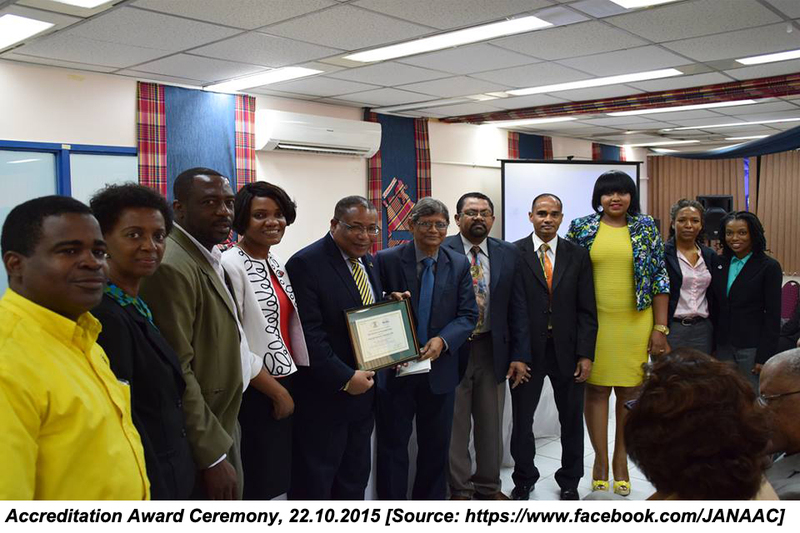 Accreditation Celebration Event: February 9, 2016 in the Blue Room of the Mona Visitors' Lodge & Conference Centre. 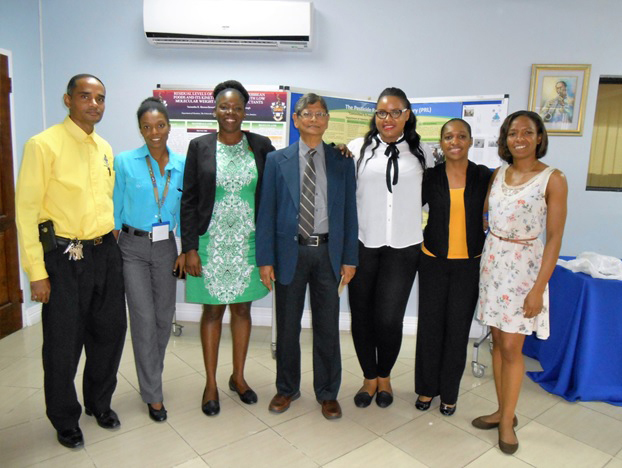 The Accreditation Council of the Jamaica National Agency for Accreditation (JANAAC) on Thursday, October 8, 2015, approved the recommendation from the Accreditation Evaluation Committee (AEC) for the award of an accreditation certificate to the Pesticide Research Laboratory of The University of the West Indies, Mona, Jamaica in the Food Testing Field. The effective date of the award is Tuesday, October 6, 2015, the date the AEC recommendation was made [Certificate of Accreditation]. 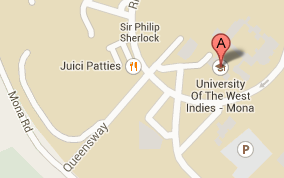 The Caribbean Academy of Sciences, Jamaica (CASJ) in collaboration with the Pesticide Research Laboratory (PRL) and the Jamaica Organic Agriculture Movement (JOAM) held the Fifth in a Series of Agricultural Forums "Opportunities for a Certified Organic Agriculture Industry in Jamaica" on April 2, 2015 (Chemistry Lecture Theatre C5, The University of the West Indies, Mona) Presentations: Organic - What and Why [Jim Riddle] and Grower Group Organic Certification [Joyce Ford]. The Caribbean Academy of Sciences, Jamaica (CASJ) in collaboration with the Pesticide Research Laboratory (PRL) and the Jamaica Organic Agriculture Movement (JOAM) held the Fourth in a Series of Agricultural Forums "Organic Agriculture - The Food System for the Future" on December 11, 2014 (Chemistry Lecture Theatre C5, The University of the West Indies, Mona) Presentations: Introduction to Organic Production Systems [Dr. Joseph Lindsay], Advantages of Organic Agriculture [Stacy-Marie Bennett], Economic Potential of Organic Agriculture in Jamaica [Dorienne Rowan-Campbell] and Research Requirements and Constraints to the Growth of the Organic Sector in Jamaica [Kerri-Ann Bennett]. 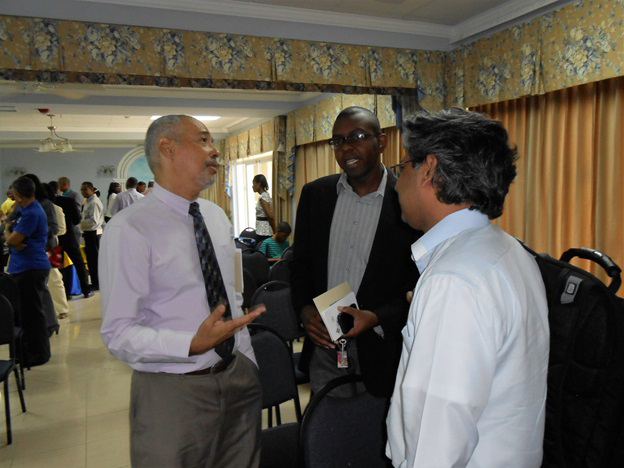 The Caribbean Academy of Sciences, Jamaica (CASJ) in collaboration with the Pesticide Research Laboratory (PRL) and the Coffee Industry Board (CIB) held the Third in a Series of Agricultural Forums "Coffee - Challenges in Production and Export" on September 18, 2014 (Chemistry Lecture Theatre C5, The University of the West Indies, Mona). Presentations: Repositioning the Jamaican Coffee Industry [Senator Norman Grant], Inadequate Capital and Other Challenges of the Coffee Industry [Donald Salmon], Challenges in Exporting Coffee [Hervin Willis] and Agronomic Challenges Confronting Coffee Production in Jamaica [Gusland McCook]. The Caribbean Academy of Sciences, Jamaica (CASJ) in collaboration with the Pesticide Research Laboratory (PRL) and the Ministry of Agriculture & Fisheries (MoAF) held the Second in a Series of Agricultural Forums "Yam - Challenges in Production and Export" on July 15, 2014 (Chemistry Lecture Theatre C5, The University of the West Indies, Mona). Presentations: Yam - Safety and Security [Professor Tara P. Dasgupta], Purple Yams for Sustainable Development [Dr. Dennis Bailey], Approaches to the Management of Post Harvest Diseases of Yam [Sheldon Elliott] and Yam Exports - Minimizing Point of Entry Interception [Fitzroy White]. The Caribbean Academy of Sciences, Jamaica (CASJ) in collaboration with the Pesticide Research Laboratory (PRL) and the Pesticides Control Authority (PCA) held the First in a Series of Agricultural Forums "The Bee Industry - Threats and Challenges" on May 22, 2014 (Chemistry Lecture Theatre C5, The University of the West Indies, Mona). Presentations: Bee Industry - Threats and Challenges [Professor Tara P. Dasgupta], Jamaica's Beekeeping Industry [Hugh Smith], Jamaica's Beekeeping Industry – Threats and Challenges [Roy C. Murray], Bee O Sphere Technologies [Andreas Sperlich] and Pesticides & Bees [Michael Ramsay]. Copyright © 2019. Pesticide Research Laboratory (PRL). All Rights Reserved.Design & Maintain by Englebert Davis. Powered by Joomla!